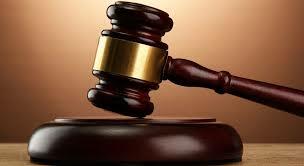 A 48-YEAR-OLD Marondera primary school teacher, who allegedly cornered a Grade Six pupil in a storeroom before fondling her breasts, has appeared in court facing indecent assault charges. The teacher denied the charge and magistrate Arnold Maburo postponed the matter to February 11 for continuation of trial. According to court papers, sometime in September last year, at around 4pm, the accused called the complainant to his classroom and ordered her to pack his bread in a plastic bag stashed in the storeroom. It is alleged that the complainant complied and notified the teacher that she had packed the bread. It is alleged that the teacher then told complainant that she had not packed the bread well and ordered her back into the storeroom. It is alleged he followed the juvenile into the storeroom and fondled her.